One of the best-known figures in antiquity was Spartacus. His brilliance as a military tactician and strategist was recognized even by his enemies. He was a gladiator and the leader of the last great slave revolt to shake the Roman Empire (73-71 BCE). His uprising was crushed, and both he and his followers were annihilated by the combined armies of Pompey and Crassus. The defeat of Spartacus and his followers was complete, but there is some argument over the legacy of the slave revolt. To many ancient historians, the revolt of 73-71 BCE was a complete failure. However, there are those who believe that despite the military defeat of Spartacus that his revolt changed the Roman Empire. It led to the rise of Crassus and the devastation of much of southern Italy. This article will argue that Spartacus’ rebellion succeeded in changing the Romans perception of slaves that led to improvements in the lives and status of slaves and a move away from slavery, especially in landed estates. Slavery was widespread in the Roman world. It seems that a significant proportion of the population were slaves. The institution of slavery had legal status in the Roman law and any slave was the property of their owner. The owners had immense power over their ‘property’ and had the power of life and death over them. Their masters exploited slaves in every conceivable way, but many slaves were also released by their masters and became freedmen. The role of slaves varied in Roman society, and they worked as domestic servants, agricultural workers, miners, and even artisans. Many slaves were educated and worked as administrators or as teachers. Their numbers had greatly expanded during the 2nd and 1st-century BCE. The number of slaves grew in as Rome conquered various kingdoms in the Mediterranean. Rome often took slaves from the armies that they conquered. These wars led to an increase in the numbers of slaves in Rome and Italy. Large numbers of them worked on large landed estates as agricultural laborers. There were significant populations of slaves in the South of Italy and Sicily. Because of their large numbers, the Romans also used many of them as gladiators. The Romans ensured the obedience of their slaves with brutal and draconian measures. However, these measures failed to prevent two Servile Wars in Sicily in 135 BC and140 BC. These war involved thousands of escaped slaves who fought the Romans and devastated large areas of the Sicilian countryside . Spartacus was a Thracian, and he had once fought with the Romans. According to Plutarch, he was enslaved by them after he had deserted, but due to his strength and combat skills he was trained as a gladiator. In 73BC, he plotted an escape from his gladiatorial school, near Capua in southern Italy. He was joined in the conspiracy by up to 100 other gladiators. The plot was discovered, and only 50 of the gladiators escaped. The escapees elected Spartacus and Crixus a Gaul as their leaders. Spartacus emerged as the leader of the slaves, but other commanders were essential to the revolt. Spartacus and his men established a camp on the slopes of Mount Vesuvius in the south of Italy. The Romans sent two armed expeditions to subdue the ex-gladiators and end the rebellion. The ex-gladiators who by now have been joined by other escaped slaves were a formidable force. Under the leadership of Spartacus, they managed to defeat both Roman expeditions. The rebels were fortunate because many Roman legions were engaged in the War against Mithridates. 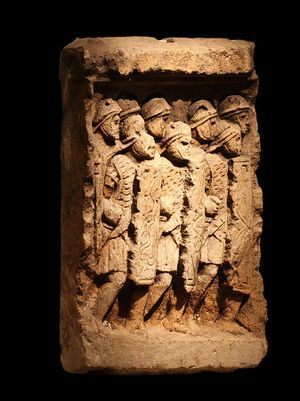 Their success against the two Roman forces led to even more slaves joining their ranks. There is some speculation that the slaves split into two groups, one commanded by Spartacus and the other by Crixus. In 72 BCE, the slaves defeated a force of praetorian guards under the command of two consuls. This defeat caused panic in Rome, and many expected Spartacus to march on the city. Instead, Spartacus marched to the south to search for loot. When they did march towards Roman again they defeated another Roman force. Crassus, one of the leading figures in Rome and probably the richest, offered his service to the Senate. He raised several legions and advanced upon Spartacus and his rebel army. Crassus was a shrewd tactician, and he engaged the slaves in several small encounters which he won. He forces Spartacus to retreat further south, into the ‘Toe’ of Italy. By 71 BC, the the former were encamped by the Strait of Messina. Plutarch states that Spartacus planned to ferry his army to Sicily. However, he was unable to secure the necessary ships. Spartacus ordered his army to turn back north but as they made their way Crassus and his legions met them. The Romans had built a series of fortifications, and they had effectively confined Spartacus to a small area, with dwindling supplies. Spartacus tried to reach an agreement with the Romans, but Crassus was eager for battle. At the same time, Pompey was also approaching with his legions. Crassus ordered a general attack, and after fierce fighting, the army of Spartacus broke and fled. The remnants of the army made a last stand at the River Sele. Crassus attacked the slaves and demolished them. It is believed that Spartacus died in this battle. 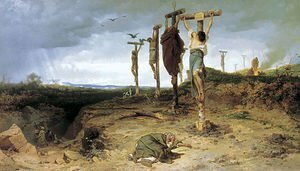 The Romans later crucified some ‘six thousand slaves on the main road to Rome.’ This was to deter future slave revolts. Pompey the Great mopped up some of the stragglers from the battle and tried to claim the credit for the defeat of Spartacus. The defeat of Spartacus was largely a result of the leadership of Crassus. His strategy was to contain Spartacus and then weaken him by defeating elements of his army. He was able to restrict the Thracian and his forces to a small area before forcing them into a decisive battle. 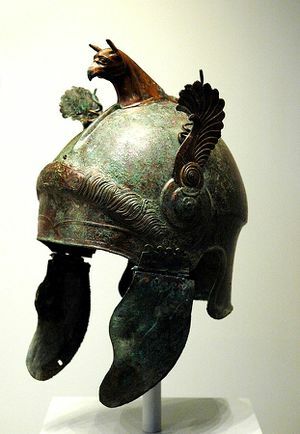 Unlike other, Roman commanders he did not underestimate the Thracian, and this was essential. In the aftermath of the defeat and death of Spartacus, the leadership of Crassus was widely praised. Previously, Crassus had been influential in Roman public life on account of his vast wealth. After his role in the defeat of Spartacus many hailed him as the savior of Rome and became popular. This popularity allowed him to become consul and later establish the First Triumvirate with Caesar and Pompey. The First Triumvirate was a political arrangement that dominated Rome for several years and was a crucial step in the fall of the Roman Republic. The Third Servile War, as it was known at the time, was the largest slave revolt in the ancient world. It seemed at one time that Spartacus could bring the Roman Republic to its knees. The war devastated much of southern Italy and many towns and landed estates were destroyed. Many slaves had been freed or escaped, and many local herdsmen had joined the rebellion. It took many years for the South of Italy to recover, and banditry became endemic. The revolt by Spartacus even if it was defeated possibly helped to undermine the system of landed estates that had dominated much of the Italian countryside. In the wake of the revolt, many landowners in the south of Italy were bankrupt or had their properties destroyed. The latifunda system as it was known in the south of Italy was undermined. It appears that in the wake of the revolt that many landlords adopted a new strategy. The years after Spartacus coincided with a sharp fall in the slave population. Instead of using slaves landowners instead rented out portions of their land and in return received rent and a share of the crops grown. This was a system that was similar to the feudal system in medieval Europe. While many estates used slave labor, they gradually reduced the number slaves. Spartacus's revolt had shaken the confidence of the Roman elite that they turned to new strategies for controlling their labor. Spartacus and his men had shown that slaves made an unreliable and even a dangerous labor force. They were rebellious at the best of time and parties searching for escaped slaves were a common sight in many Italian districts. This persuaded many in the elite to move away from slave labor, and this led to the emerging of a semi-feudal system in many areas of Italy. This ultimately may have led to an overall fall in the number of slaves which had grown dramatically in the previous decades. It should be noted that some historians disagree with this assessment. However, the revolt of Spartacus did not undermine the institution of slavery, and it continued to flourish until the fall of Rome. Spartacus's revolt changed the way that the Romans viewed slavery. In the Roman histories, there is certainly a great deal of respect and even admiration for the Thracian. Plutarch stated that Spartacus was a gifted leader and general and compared him favorably to the Roman generals he faced. Some later writers argued that the revolt of Spartacus led to long-term shifts in the view of slavery in Roman society. After the end of the Third Servile War, there were no more great slave revolts. It has been argued that the revolt of 73-71 BC so shook the Roman elite that they adopted a new view of slaves. They were more inclined to see them as beings endowed with reason and a soul. With Spartacus, they encountered someone with all the virtues that they admired in men. It is impossible to state with any degree of certainty if Spartacus changed the Roman elite’s views of their slaves. However, it is undeniable that the revolt by Spartacus was the last of the great Servile Wars. Rome avoided future wars even though many more slaves were imported into Rome from Gaul and elsewhere in the following decades. There is a real possibility that the success of the Thracian gladiator and his many victories so impressed the Romans that they adopted a new strategy to prevent future insurrections. There was a conscious effort by the elite to treat their slaves in a more humane way to prevent a repeat of Spartacus revolt. 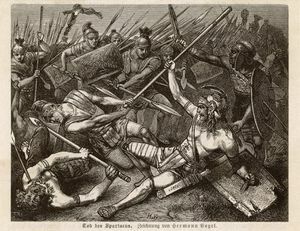 The revolt by Spartacus is one of the most well-known events in the ancient world. It was in many ways a decisive defeat and slavery remained very common in its aftermath. However, the revolt was significant in the history of Rome. It led to instability and economic contraction in southern Italy and politics it led to the rise of Crassus. The revolt may have even managed to change the way that masters treated their slaves. The revolt demonstrated that slaves could be dangerous and Spartacus showed that they could be the equals of the Romans. Some members of the elite were encouraged to treat their slaves with more compassion to prevent another slave insurrection. The revolt of 73-71 BCE may even have led in the longer-term to changes in the legal system that gave some rights to slaves. The devastation caused by the ex-slaves and gladiators in southern Italy led to a temporary slave shortage, and this led to a move away from slave labor on landed estates to an early form of feudalism. The significance of this was that it might have led to a reduction in the slave numbers in many regions. 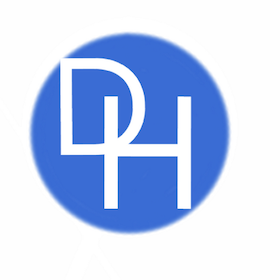 This page was last edited on 19 January 2019, at 12:03.